Somewhere around this time last year, I was mulling over the idea of participating in my first ever flea market. 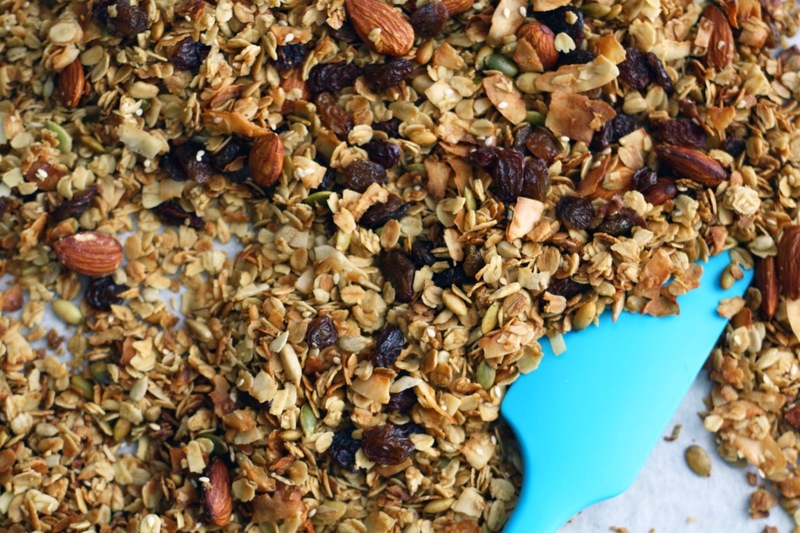 Inspired by a dear friend, I was tempted to try selling some of my homemade granola. The idea excited me for a whole slew of reasons: one - spending a whole day doing nothing but baking and bagging granola; two - for the fun of choosing the packaging and designing a logo; and finally - the fact that people other then myself may actually love the product and buy a bag of 7granola (yahoo!). Here we are one year later, and though the flea was a huge success (!!!!! ), it won't be happening again any time soon (too many other fun things on the go). 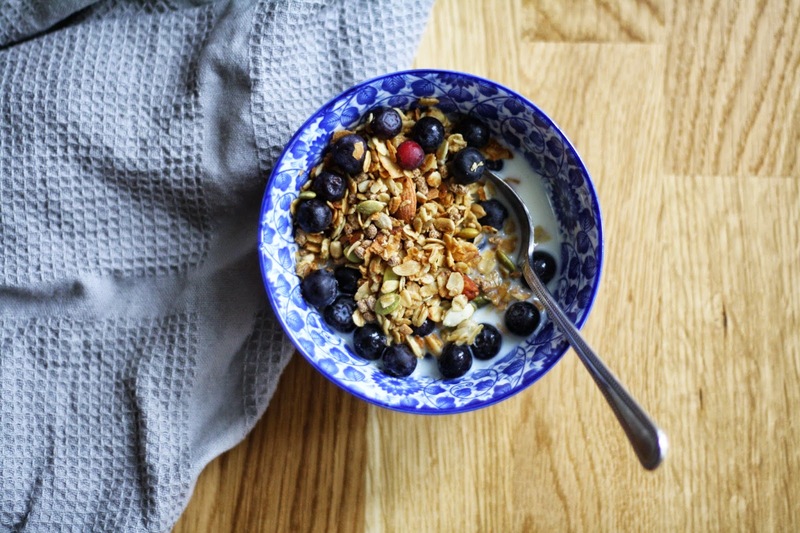 So I figured, in true fairness to you, that I would share a version of last year's famous granola. Happy snacking! Thanks to Gir for sponsoring this post. I was gifted this fantastic new spatula and I am now mildly obsessed. It does everything I need in a quality spatula and more. 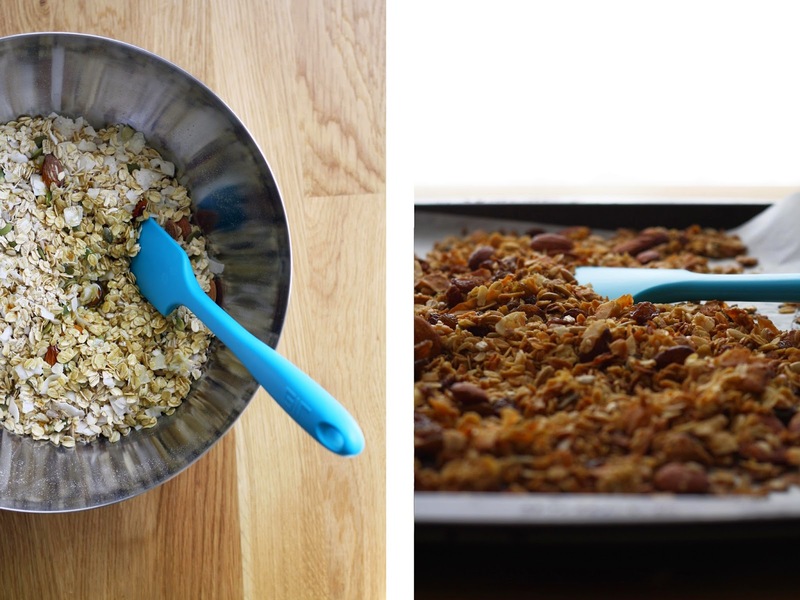 Super easy to throw together, and perfect for breakfast, snacking, or gifting. The dried fruit is optional - depending on the season, I'll often leave them out, and add fresh berries instead. 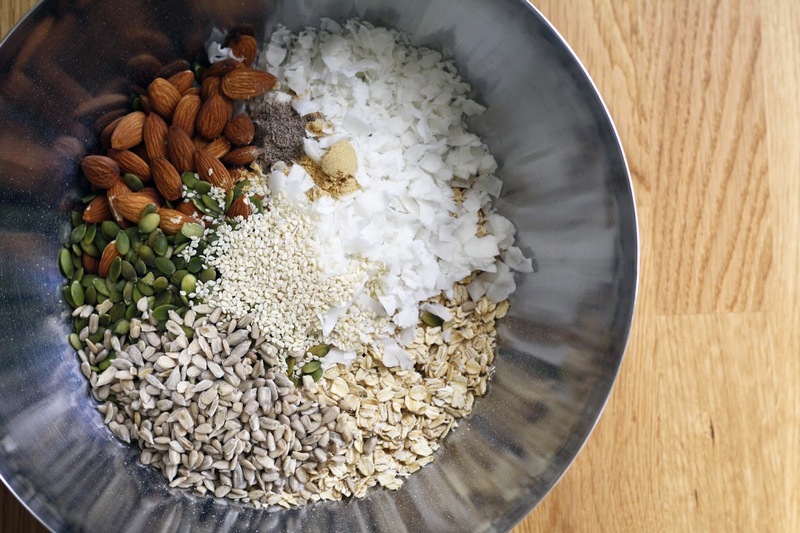 Combine the dry ingredients in a large bowl and toss to combine. Whisk together the vanilla, maple syrup and olive oil, and pour it over the oat mixture. Using a rubber spatula, gently fold together the wet and dry ingredients. Line 2 baking sheets with parchment paper and spread the mixture out in a fairly even, single layer. Bake for 18-20 minutes, tossing the mixture halfway through. 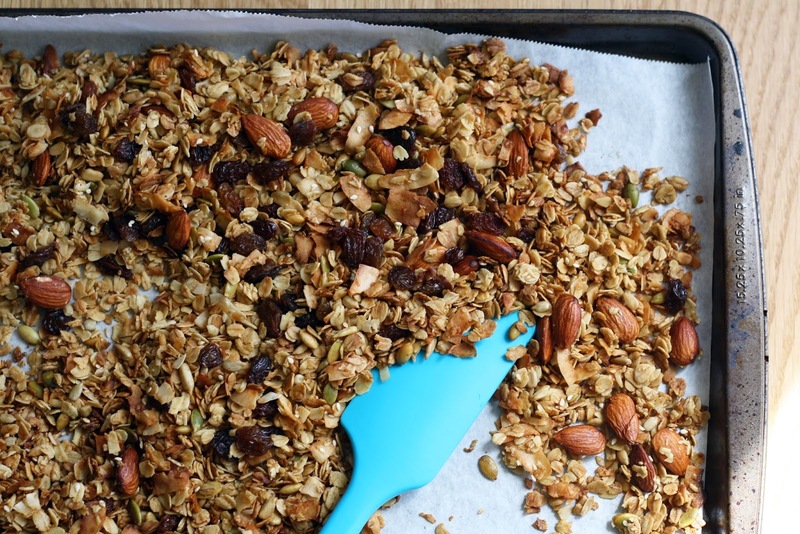 If adding dried fruit, toss it in right after you remove the granola from the oven. Stir gently.